Recipe To Be FIT: Chocolate and Peanut Butter (Shakeology) Balls- No Bake! 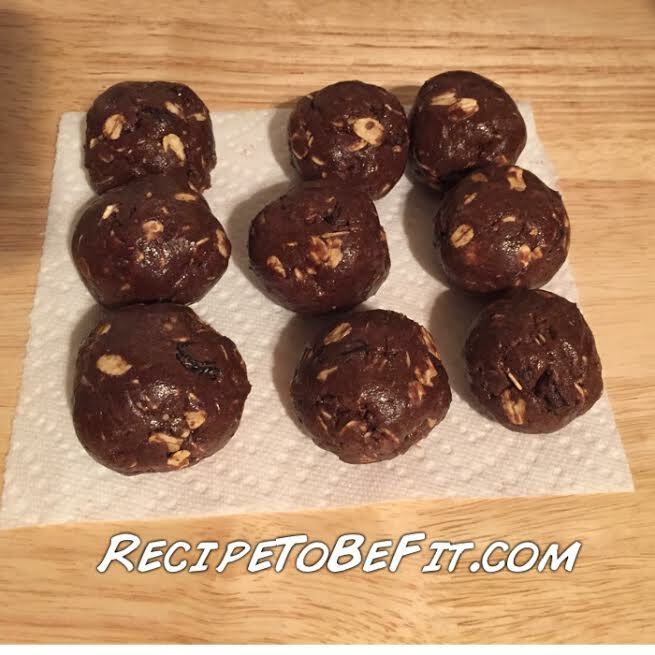 Chocolate and Peanut Butter (Shakeology) Balls- No Bake! Mix it all together! You can add raisins and some cinnamon but that is just me. Roll into balls about the size of a ping pong ball. Makes 12, serving size 1 ball. ENJOY!!! keep them in the freezer for cravings!